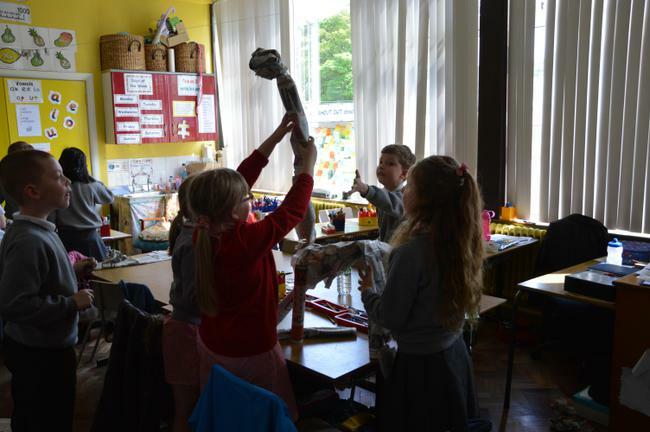 We were set a challenge by Miss Malcolm and Miss Boomer to create a giraffe. 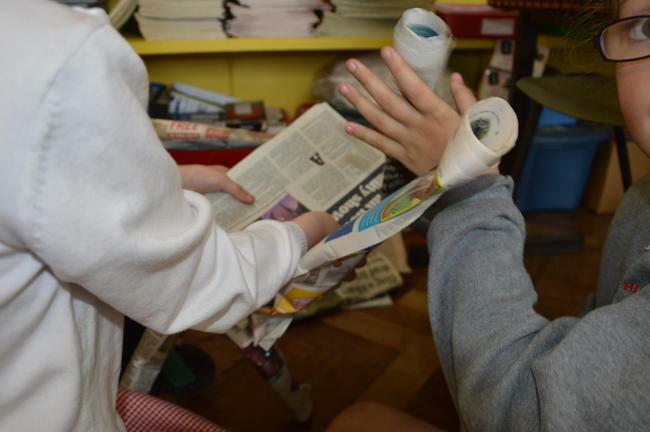 But ...! 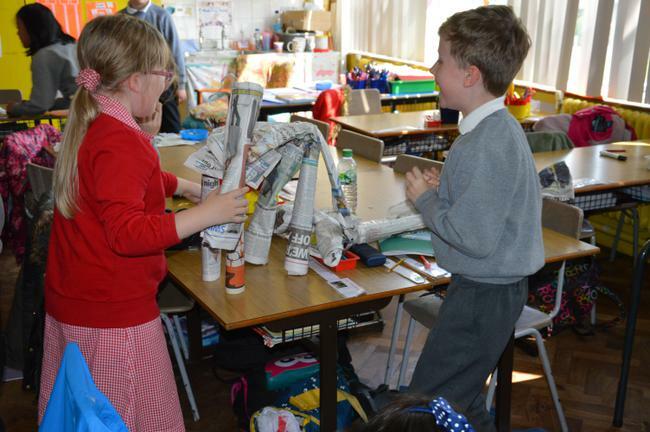 We had to work in teams. 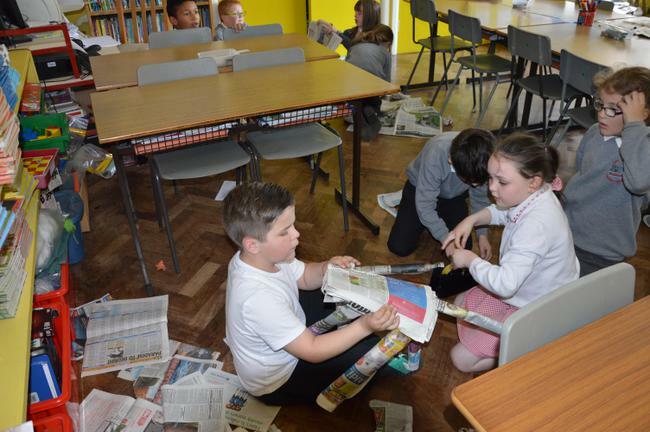 We only had 25 minutes to complete our challenge. 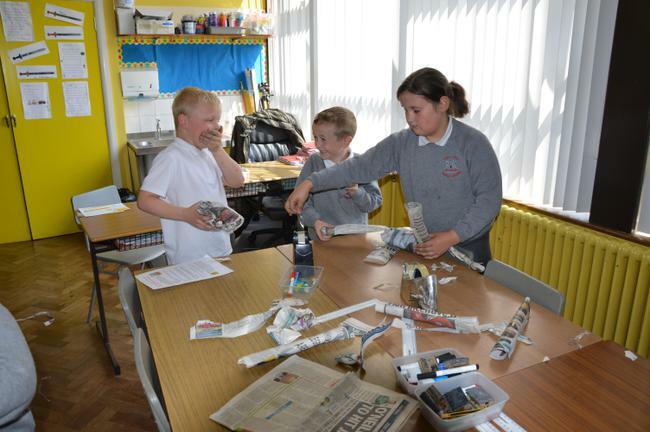 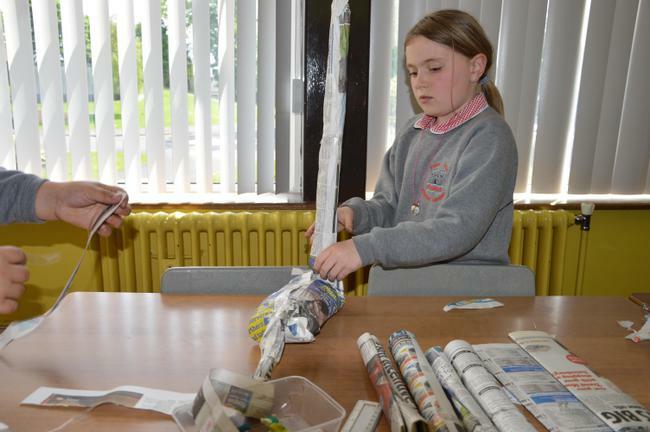 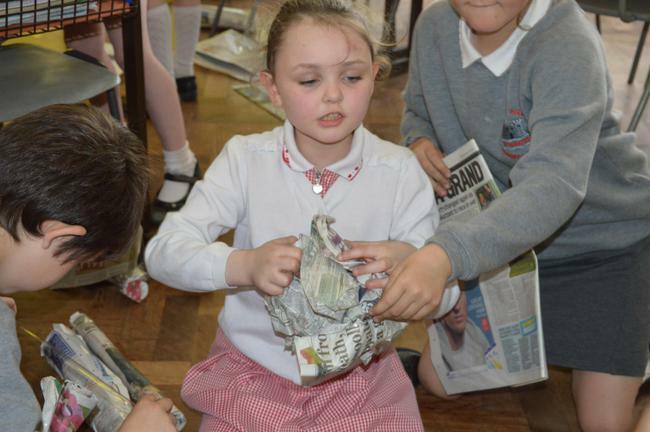 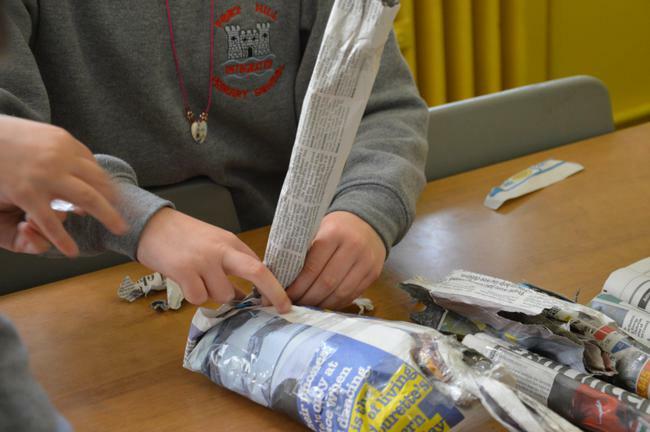 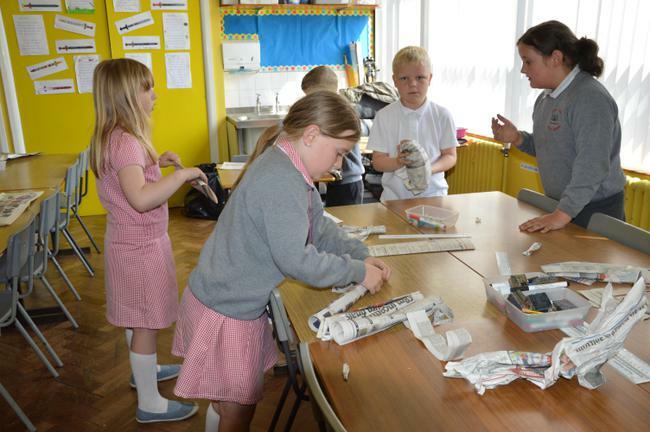 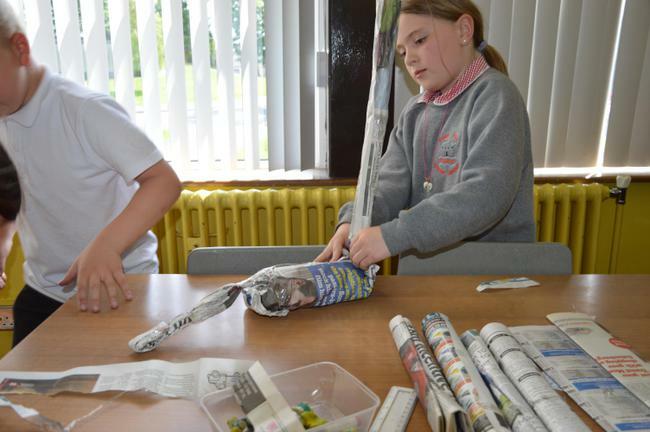 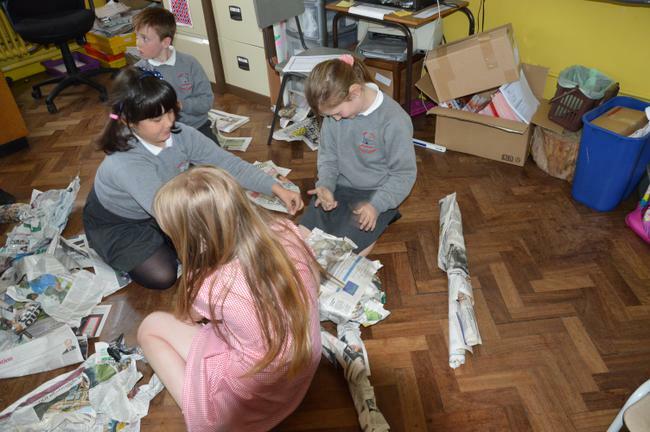 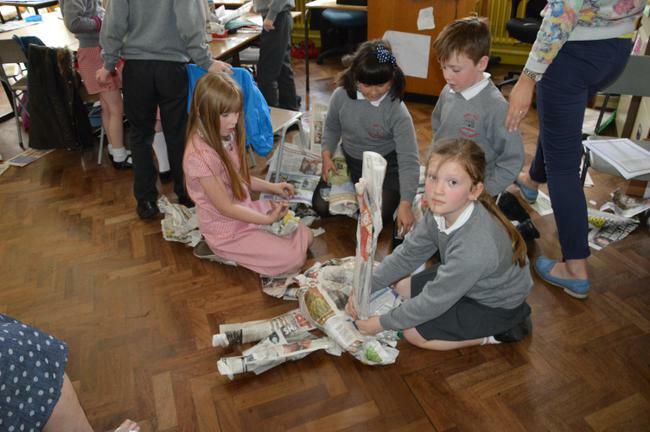 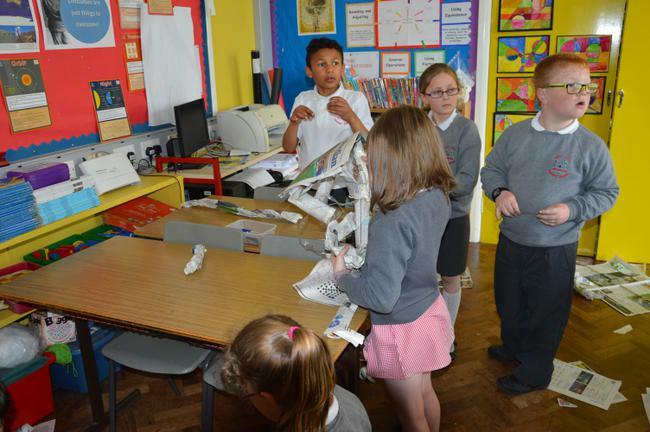 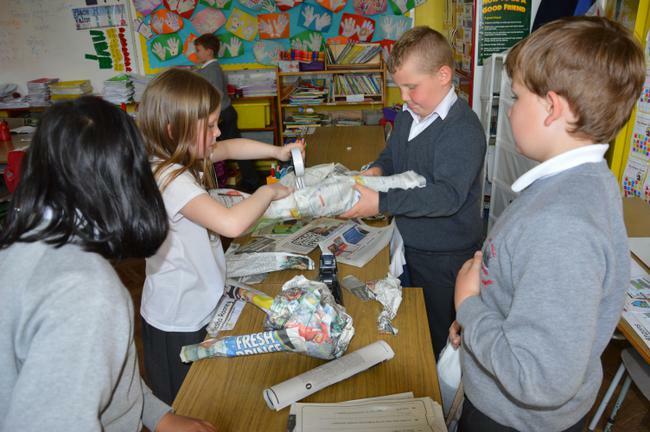 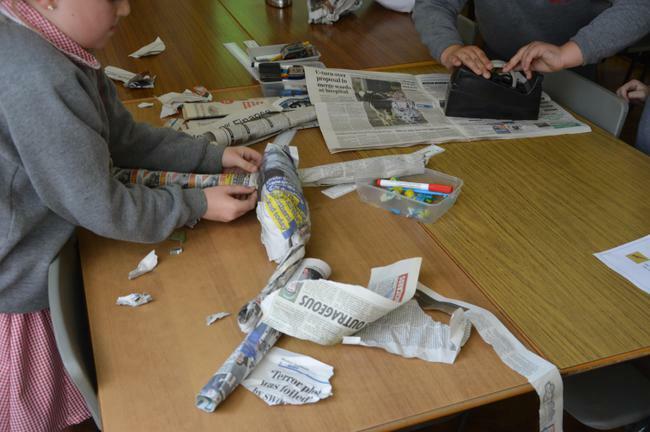 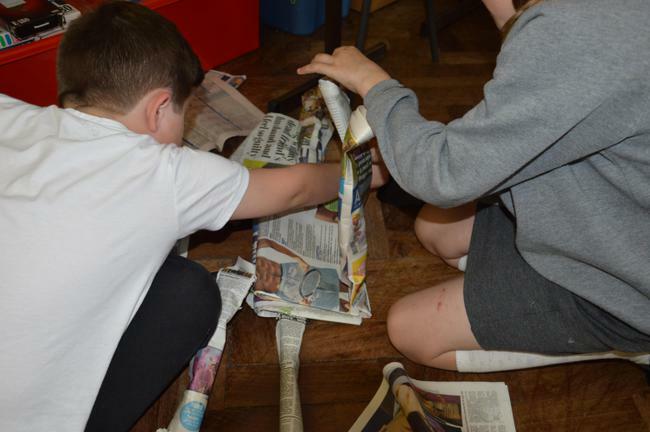 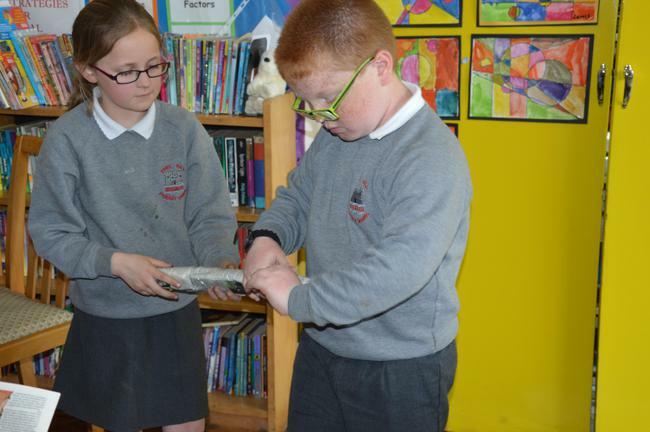 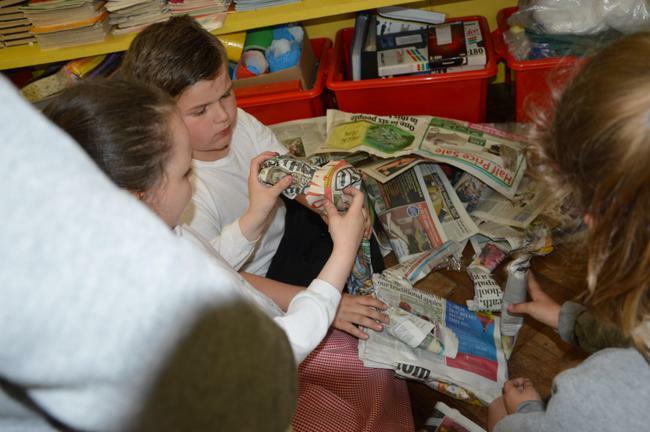 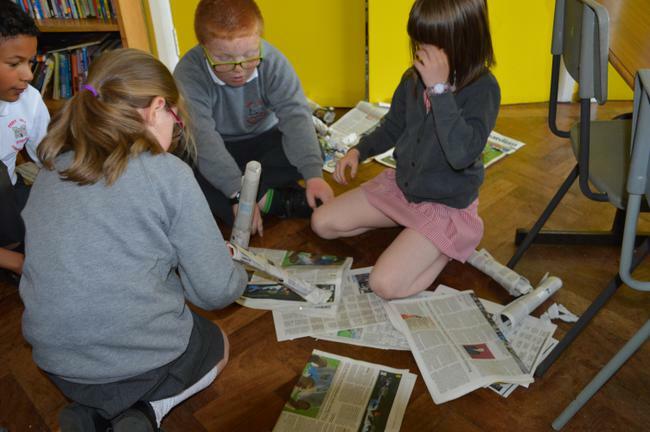 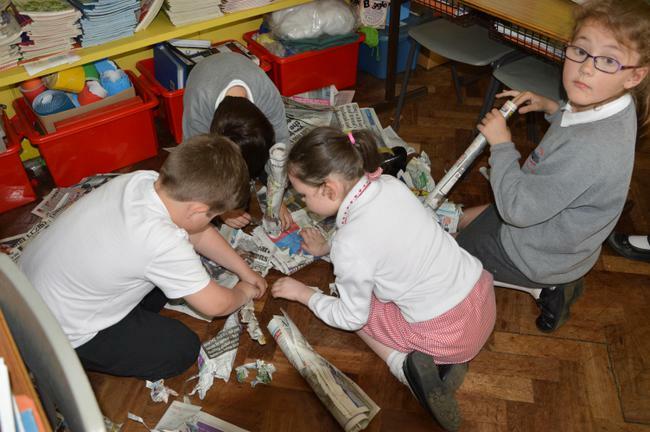 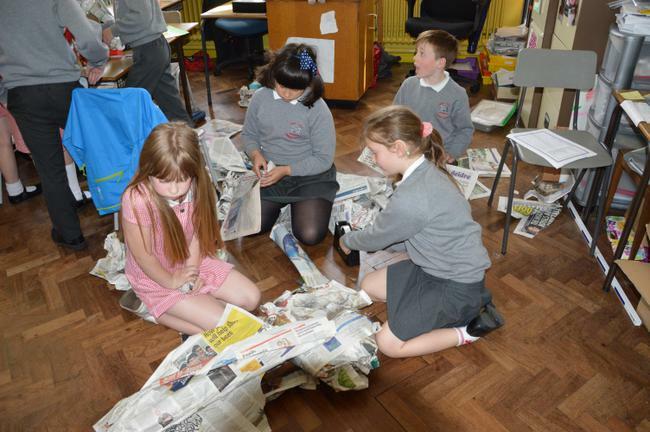 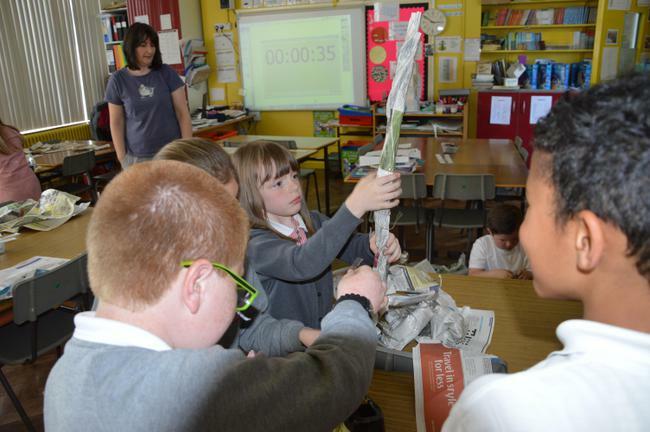 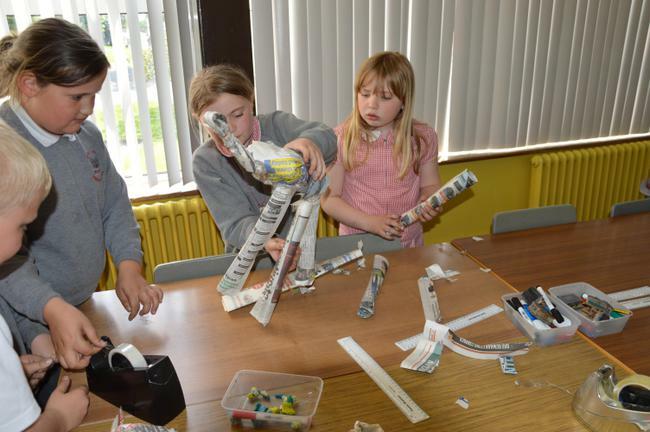 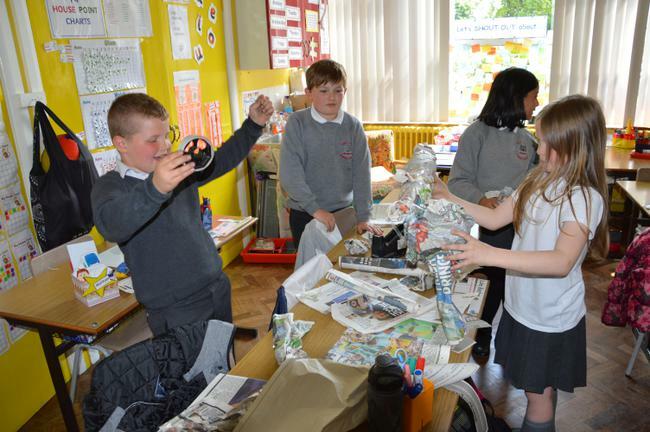 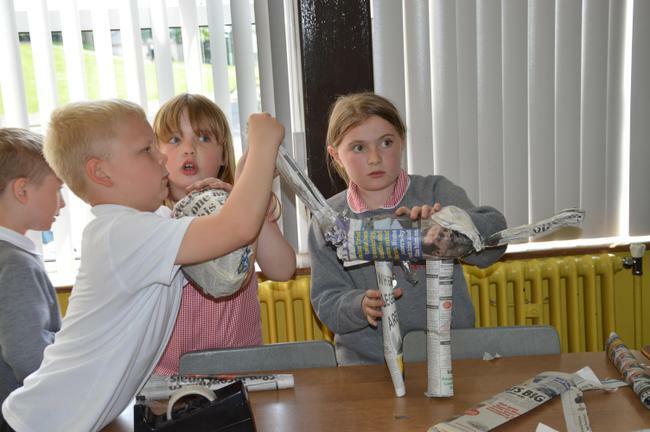 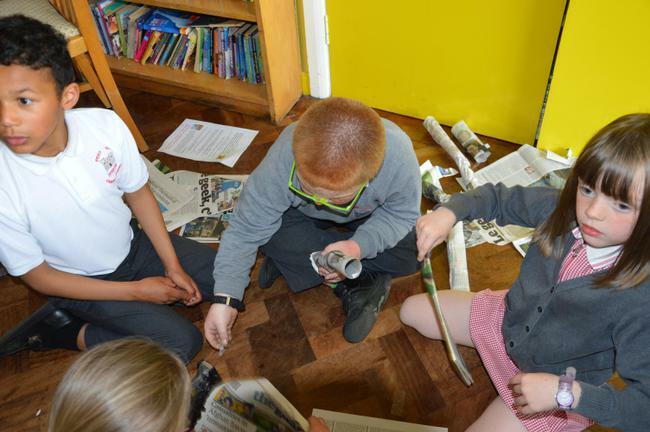 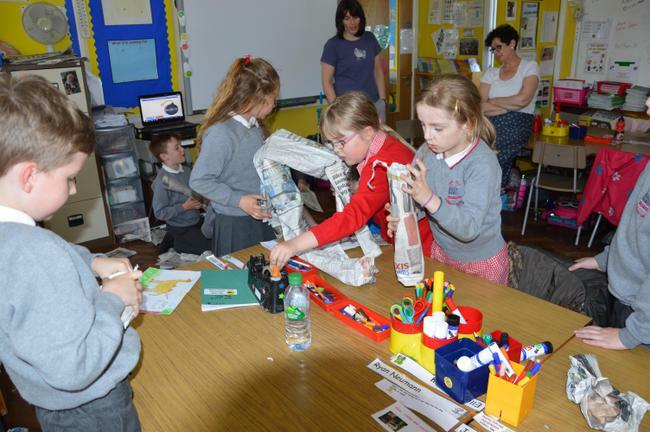 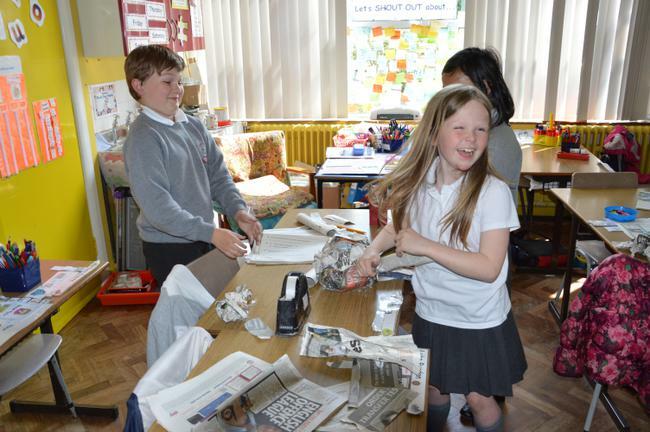 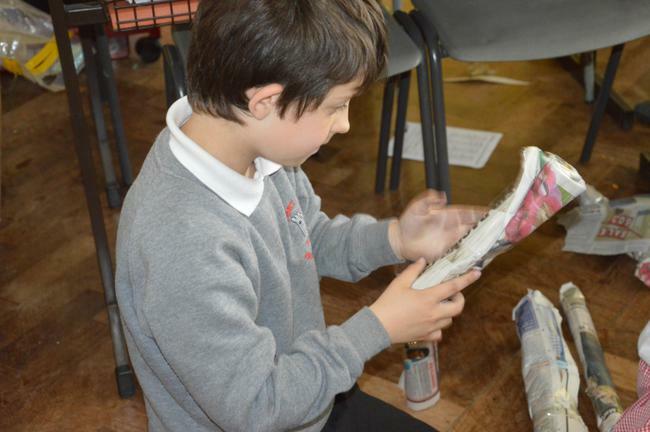 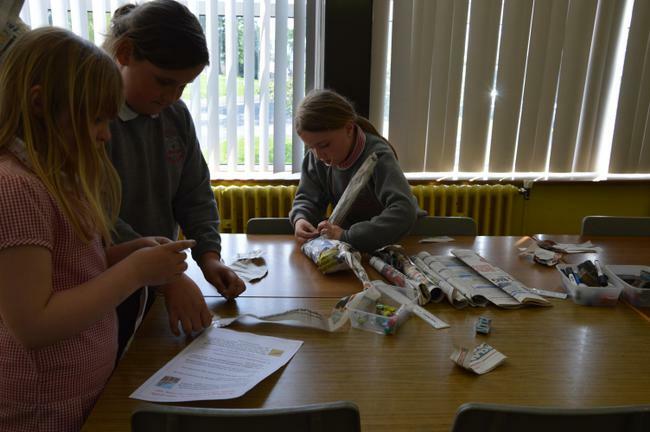 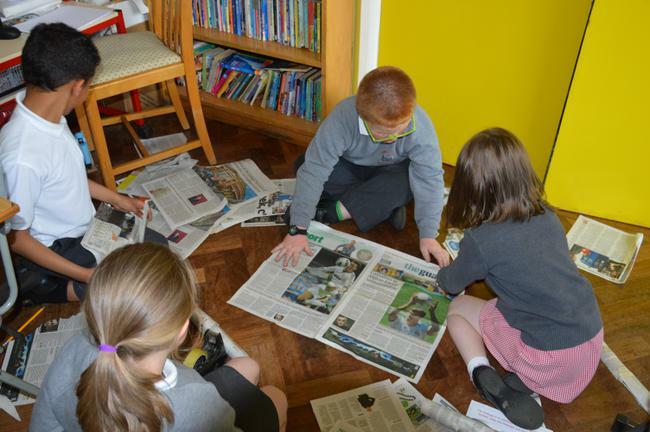 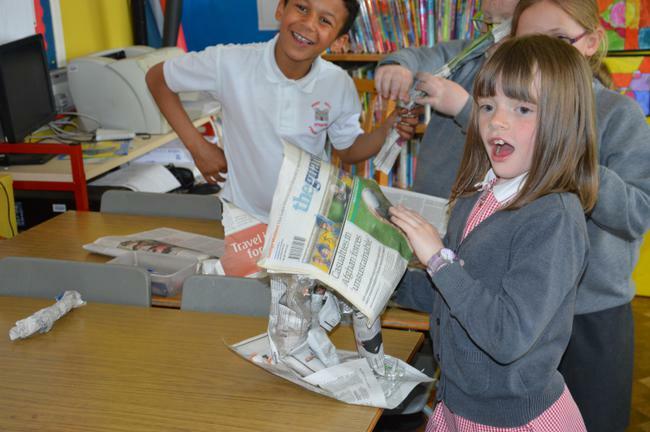 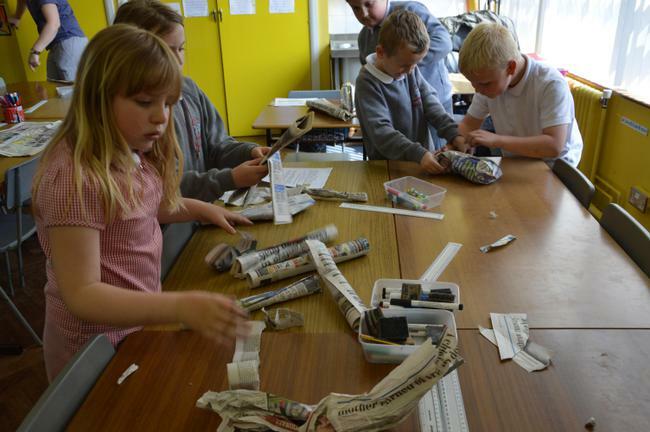 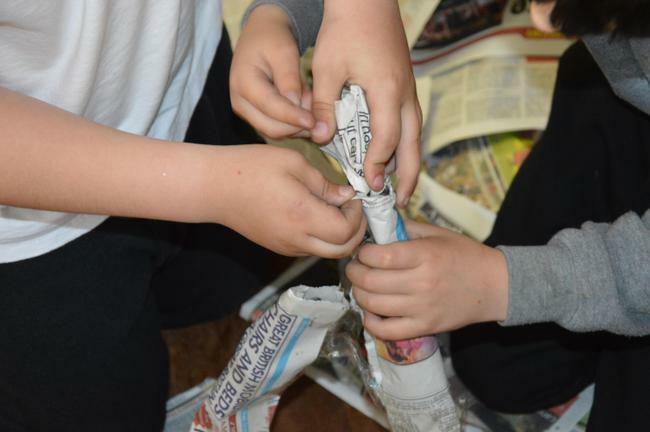 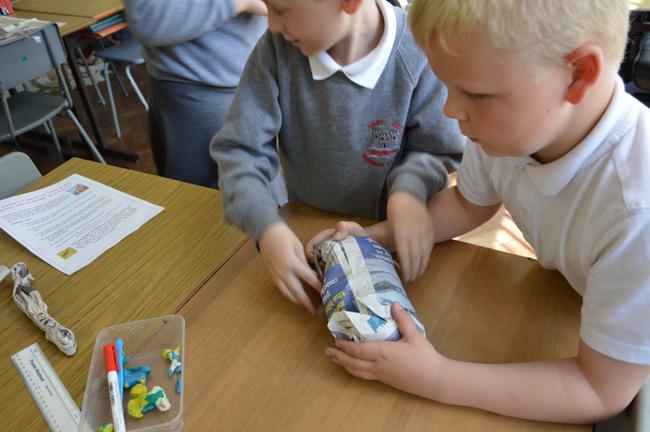 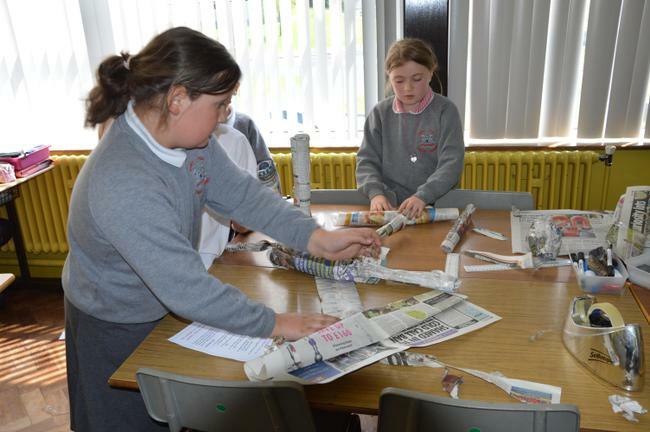 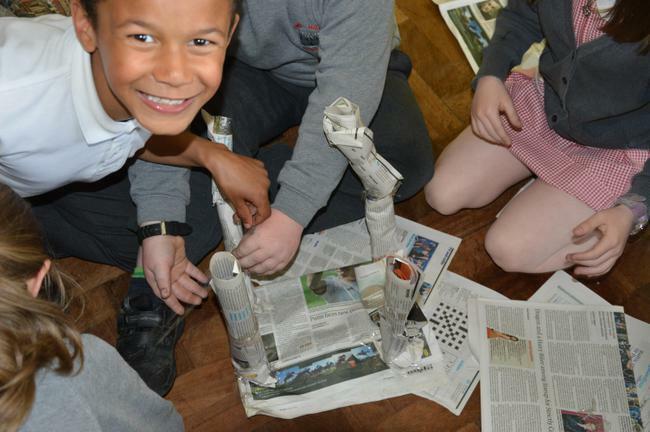 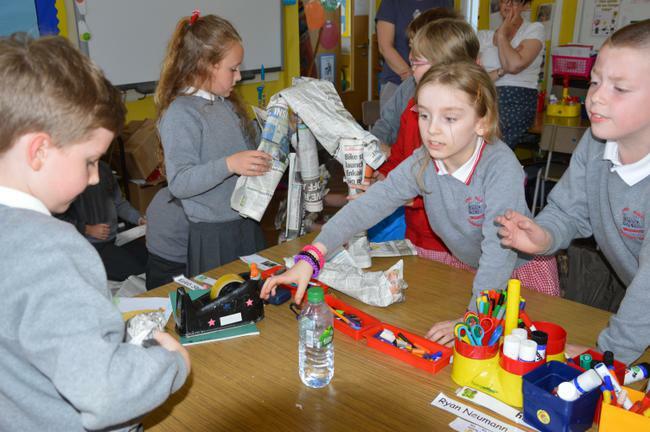 We were only allowed to use newspaper and sellotape to create our giraffes! 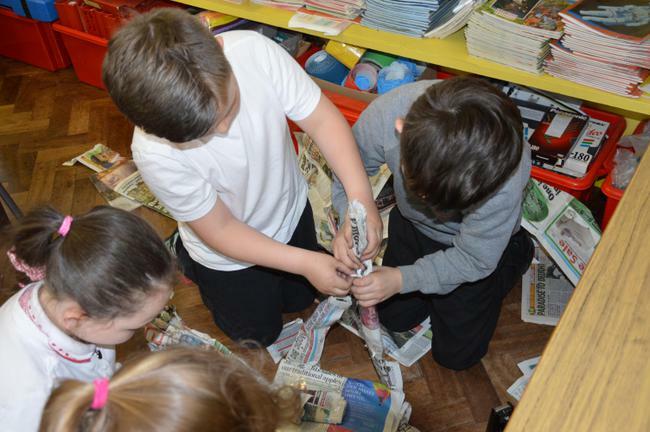 We weren't allowed to get hints or help from the adults. 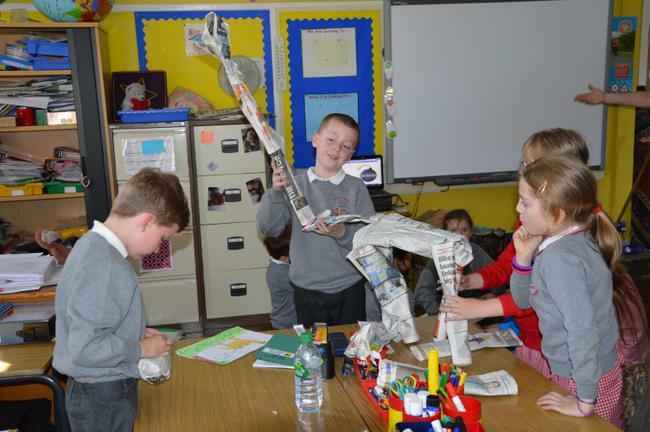 The tallest freestanding giraffe would be the winner. 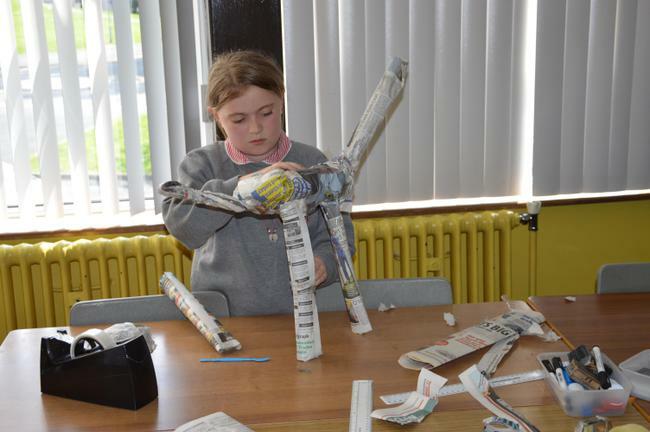 Our giraffes didn't quite look like the real thing BUT we all worked really well together, lots of communication, helping each other, listening to ideas and TEAMWORK! 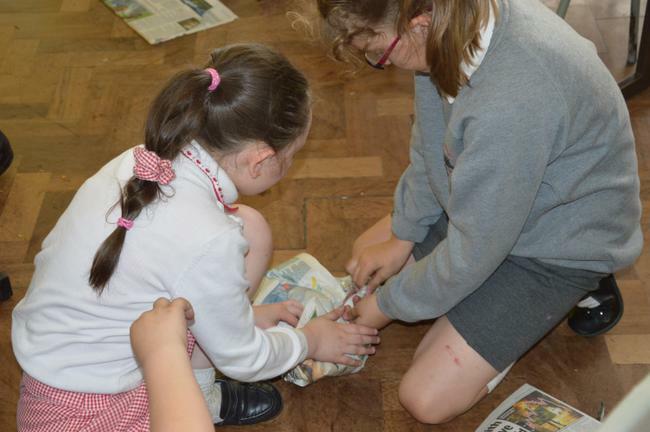 We're looking forward to doing it again!